Yes, we know it's Monday! (VOXtra) - In your voice-over cold reads, do sentences tend to end with a rising tone - as if asking a question? It's a challenge to overcome this tendency, and to place the infection as the script requires. Joe Loesch is a top voice actor and voice-over coach, an award-winning spoken word producer, and (... drum roll ... ) your leader at Voice-Over Booth Camp. 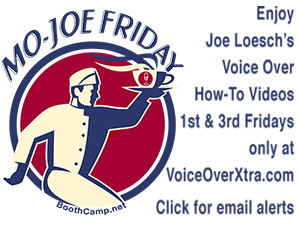 Plus, on the first and third Friday of every month, Joe delivers MO-JOE Friday Video refills on all aspects of voice acting and succeeding in voice-over to VoiceOverXtra readers. Check out past episodes here. 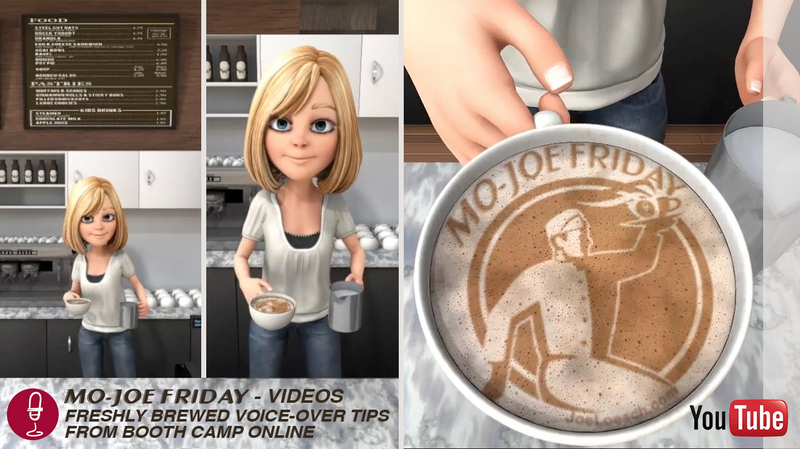 You can sign up here to receive email alerts to future MO-JOE Friday videos, plus VoiceOverXtra news and how-to articles. BTW: Did you miss Joe Loesch's webinar on Character Voices for Audiobooks and Animation? No problem: Click here to obtain the recording of this 2-hour fascinating inter-active event. This webinar was a special edition of Joe's Voice-Over Booth Camp Online, presented by VoiceOverXtra. 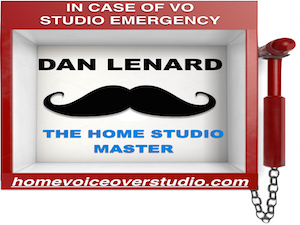 Also learn VO with a subscription to Voice Over Booth Camp videos here. 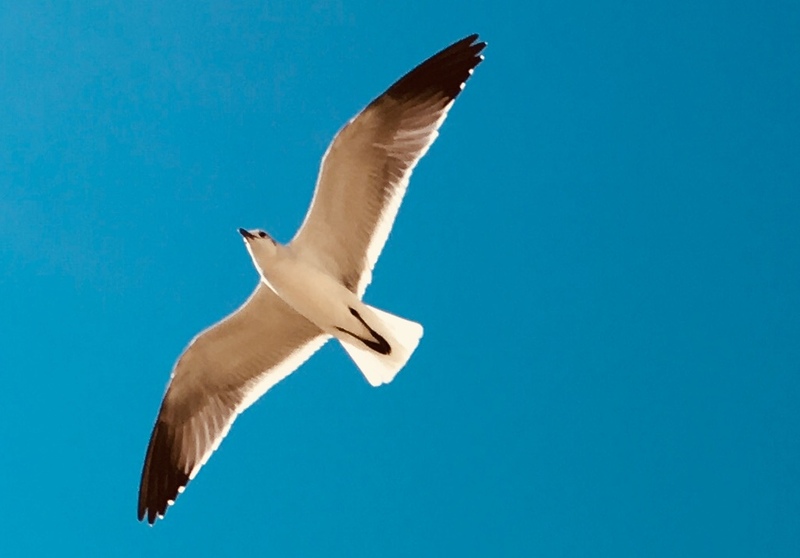 While you're there, please LIKE us!